I challenge you to give freely to those around you. Help someone who is lost and confused. Just see how much of a difference kindness can make. 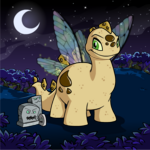 Neopets might as well not exist. 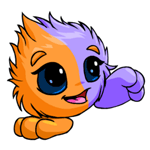 When was the last time you fed, groomed, or entertained your Neopet? Guaranteed to improve your Feed Florg skills. We have heard of the term "Supply and Demand", but do you really know what it is? Find out! The game is pretty easy to play. Look at the thought bubble of each pet. If the word is spelled correctly, press the up arrow key to let them enter the exam. Neomailing is a great way to discuss potential trading deals, but do you know how to make your Neomails effective? Here are some guidelines you can follow to communicate effectively via Neomails with your trading partners and boost your chances of sealing that deal you've always wanted. There are many means to oil your Cloud Racer and each Faerie swears by a different way. The Space Faerie insists on using the finest Grundo drool, though, understandably, many people are disgusted by this. Speaking mostly as a comic critic, let's look together at just two or three aspects of a great comic. In this pocket guide, I will be guiding you through the Art of Usuki Doll collection (from scratch). Everyone Benefits from Spring Cleaning! "Have a seat," he said, and she obeyed. 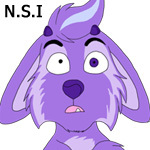 "For starters, welcome to Neopia..."
I grin wider, feeling better. Khelyer has had nothing at all spent on her breakfast, and mine could buy a house! Her twin brother tried to explain. "You're not looking at the big picture. Tay's expecting some huge, overblown prank -- she won't be suspecting..."
Just an everyday mistake, or something more?